So many exciting announcements! It doesn’t seem to matter that we live in a small town instead of Los Angeles or Toronto – fun things are still always happening up here! If you can’t get enough of the Cat’s Night mashup remix we did with Austria’s Astronomy for Lovers, you’re in luck. We can’t stop with the mashup remixes either! Remember the Searchlight Mixtape earlier this year? 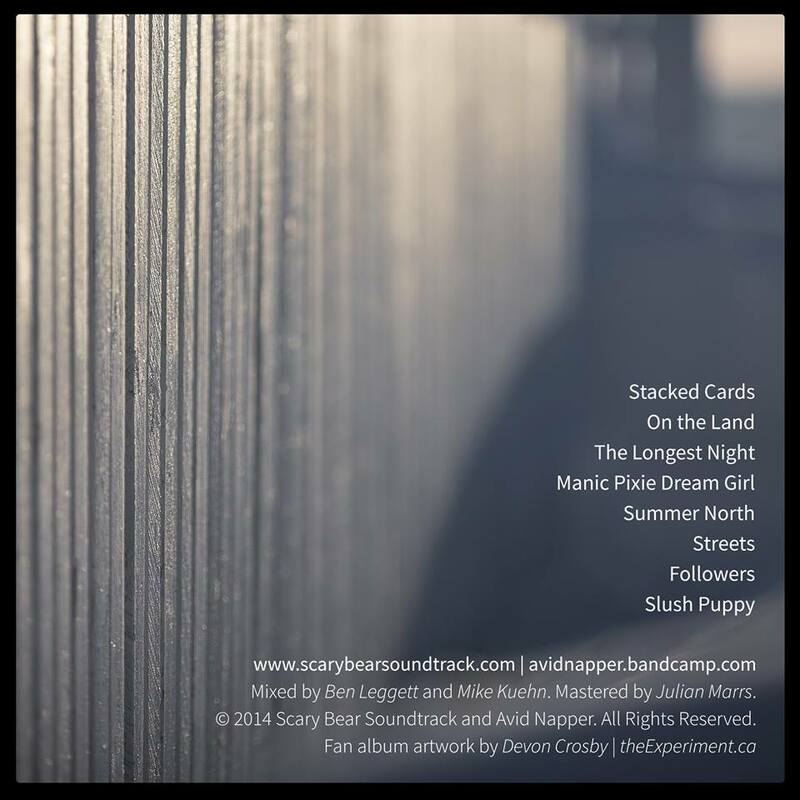 We got together with our friends across Canada and released another mixtape featuring our new single with Avid Napper “On the Land”, Erin Saoirse Adair’s single, and a mind-blowing remix of Inuvik’s Predator/Prey’s Knot of Snakes, which made me pause and shiver. Have a listen and enjoy some new Canadian indie tunes! 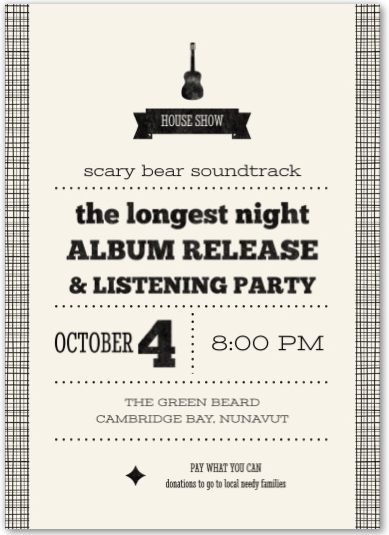 We’ll be throwing an album release and listening party this Saturday, October 4. We’ll be playing the entire album from beginning to end, and then we’ll also be performing some of our new tunes live. Guest musicians will also be performing, including perhaps a resurrected Muskox Rodeo (Zombie Muskox Rodeo)? See you there! For fans in Ottawa who won’t be able to make it to our album release party, we’ve got some good news! Gloria will be doing a reading of her piece published in the zine “YOW! Ottawa Writers Writes About Ottawa”. She will also be doing a solo acoustic performance of her favourite song about Ottawa. Come say hi and buy a zine! Finally, don’t forget to keep voting for our song Fault Lines for CBC Music’s Rock Your Campus! The wonderful people of Finding True North ran a lovely feature on us this week. Thanks! Read the article here. 1. Her music is great. It’s cutting edge and interesting. I’m tired of hearing the same old love song on the radio. I’m bored of the standard rock band arrangement. The music of Tanya Tagaq is weird. It’s wonderfully weird. At times it’s harsh to listen to, and at times its terrifying, but at all times it is refreshingly different. She takes an old art form that the people of Nunavut are used to – Inuit throat singing – and morphs into this beautiful experimental and emotional style that ends up being strange to both Inuit people and folks in the rest of Canada. Why not challenge your ears? I love it. 2. Her music is weird, and it’s okay to be weird. Tanya Tagaq provides inspiration to all musicians feel the pressure to tailor their songs to be radio-friendly: three minutes long, with a danceable beat and a catchy hook. You know what: you don’t have to do that. Dare to be different.Do you think Tanya Tagaq’s style of music is popular in her hometown Cambridge Bay? Trust me, this is not the kind of music that the kids are dancing to at the teen dance in Cambridge Bay. This is not the kind of music that the kids are dancing to at teen dances in Toronto either. 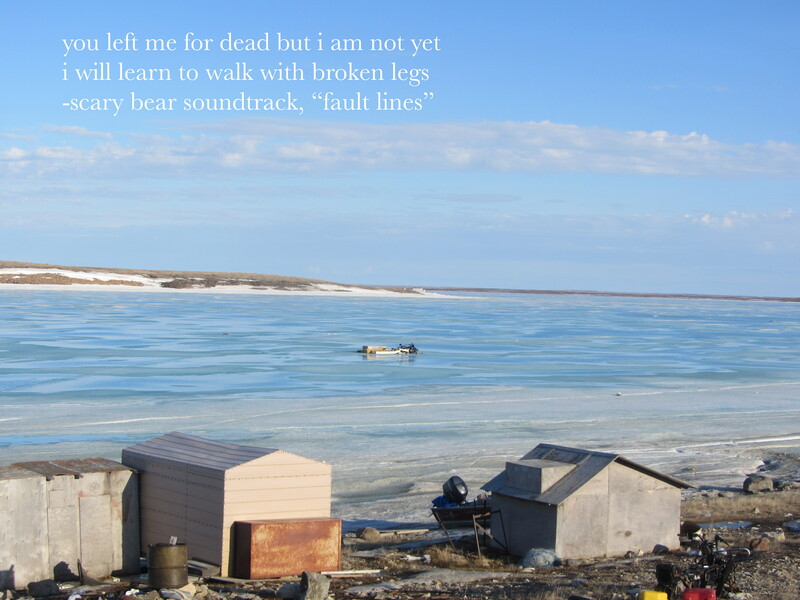 Tanya Tagaq doesn’t care that her song isn’t played by CHUM Radio. She just follows her artistic vision and goes for it. And so can other musicians. Your song can be six minutes long with no chorus. Someone out there will appreciate that. 3. Tanya Tagaq is never afraid to stand up for what she cares about. Tanya Tagaq is brave enough to be political, both in her music (HINT: her song Fracking is NOT about the fake swear word from Battlestar Galactica) and outside of music, as we know when she took a public stand against PETA in support of the indigenous right to hunt seal, even when she received death threats and nasty public attacks on her family. To stand so boldly in public about things that are important takes bravery. I also think it’s what being an artist is all about: carrying your social message, even if it might hurt. 4. I also hope that as the first Inuit musician from Nunavut to win the Polaris Music Prize, she inspires a generation of young people in Nunavut to create music. Music is a wonderful way to express yourself, especially when you are young and often have no other outlet. I’m hoping that when kids in my community, Cambridge Bay (her hometown), see a familiar face like them on TV, expressing herself so beautifully, they will also be inspired to go out and make amazing music themselves. I want to see a musical revolution in Nunavut. There are already some fantastic up-and-coming musicians in this territory, like Nelson Tagoona, the Jerry Cans, and the Trade-offs. I want to see this continue. Congratulations, Tanya. You are an inspiration and a hero. For the fall equinox, we teamed up with our dear friends in Austria Astronomy for Lovers to produce a mashup remix, combining their song The Cat Song from their upcoming with our song The Longest Night. The Cat Song + The Longest Night = Cat’s Night. Enjoy! We’re also honoured to be Featured Artists on the Revival Synth music website. Thanks for all the love! Finally, don’t forget to keep voting for our song Fault Lines for CBC Music’s Rock Your Campus contest. And if you haven’t checked out our brand new album yet, have a listen here! School has started again for a lot of people, including Christine, who is a distance learning student at Simon Fraser University. It’s also an important time to talk about campus sexual assaults and violence against women generally. It is a major problem, unfortunately, and there have been no shortage of stories in the news about victims and how society deals with them (Steubenville, Emma Sulkowicz’s Mattress Performance, to name a few). We wrote our new song Fault Lines in direct response to these issues, based on personal stories and the news. The idea is that every woman lives on a fault line: every woman lives at risk of sexual violence. It is a fear that is in the back of every woman’s mind, and it is a reality that every woman has to deal with. We wrote this song to capture that reality and also, to try to express hope for survivors. You are not alone, and you can live through this. We have entered it in CBC Music’s Rock Your Campus competition. We thought that our song could serve as an important reminder in a national school-themed contest, and we hope that our song will help raising aware about sexual violence against women. Lyrics to the song are here. You can also vote for “Fault Lines” for CBC Music’s Rock Your Campus competition here. We hope this song speaks to you. It is one of the most honest songs I have written. We received some fantastic fan art from Devon Crosby (St. John’s, Newfoundland) in form of alternative cover art. It’s gorgeous. THANK YOU. 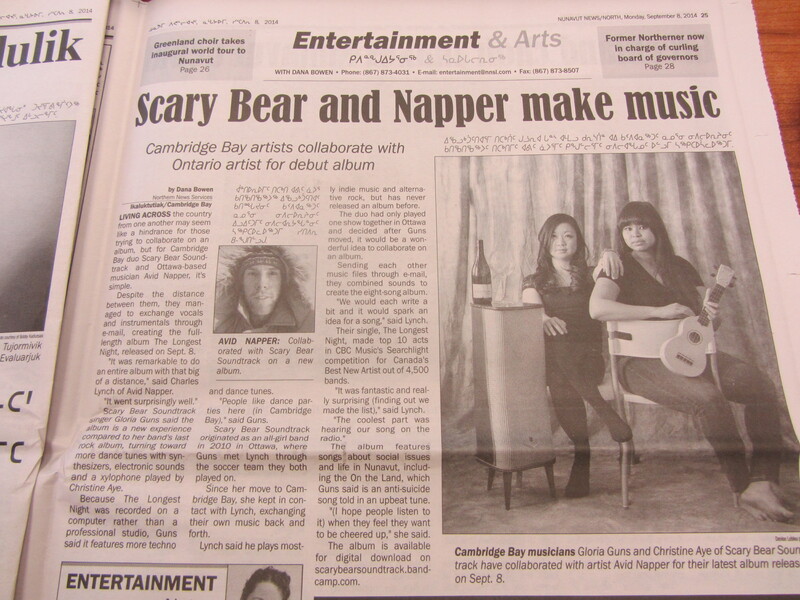 In other news, our new album The Longest Night also got some mad love in the News North Nunavut newspaper! Also, much love to Julie Lalonde for playing music from our new album on her CHUO FM Ottawa radio show The Third Wave. Don’t forget to grab our new album here if you haven’t already. Today is World Suicide Prevention Day. It’s also Embrace Life week in Nunavut, an initiative to bring awareness and support about the issue that troubles many people in our Northern communities. 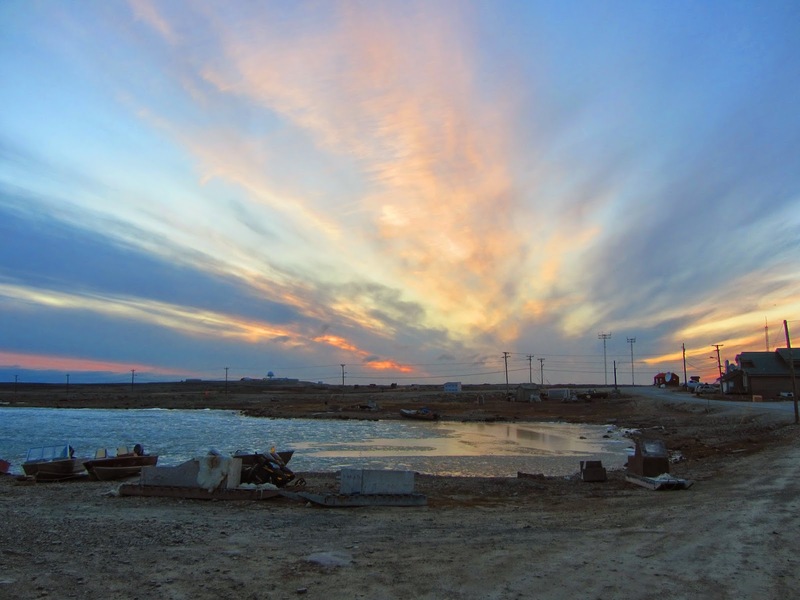 Suicide is major problem that is disproportionately high in Nunavut, especially among Inuit. Last year, there were more suicides in Nunavut than any other year (forty-five), causing the territory’s chief coroner to call for public inquest. Today, we will be participating in the annual Embrace Life Walk that is held here in Cambridge Bay, and we hope that you will also do your part in raising awareness and providing support. This is our song that we wrote last year after the Embrace Life Walk, and after the suicides that happened in town. We also made a little music video consisting of a montage of our favourite summer moments of hanging out with our friends in Cambridge Bay, in the hopes of cheering ourselves up during the long hard winters with the nice memories. 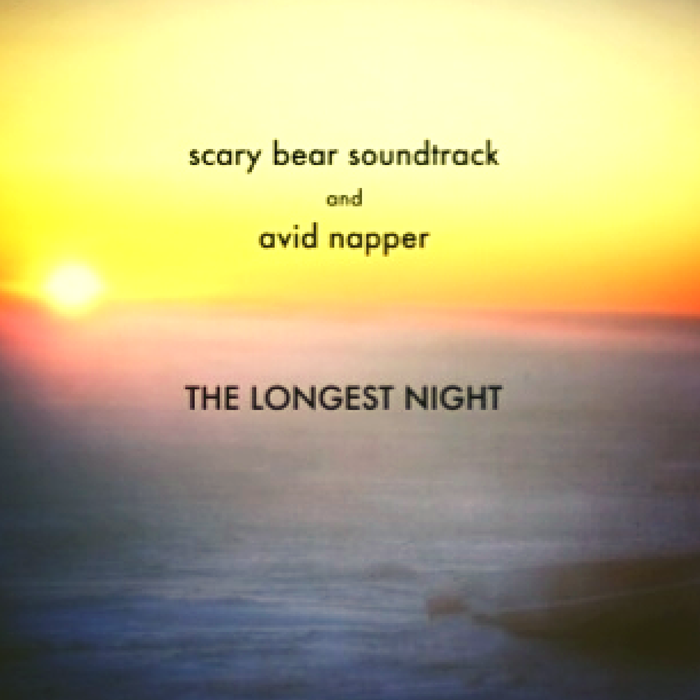 We’ve just released our newest album The Longest Night, a collaboration with our good friend Avid Napper (Charles Lynch). We’re so excited to show you what we’ve been working on all year! You can stream and download the album here on Bandcamp. You can also listen to it on Soundcloud. Our newest single, “On The Land”, has already gotten some radio love across the country and even in the States. A big thanks to CBC North’s Trail’s End (Yellowknife), Ladies First on CHUO FM (Ottawa), and This Great White North on KOOP FM (Austin, Texas), for playing our tunes! Next week September 8 is going to be the release date for our brand new full length split album The Longest Night, which we wrote and recorded with Avid Napper! Are you excited? I’m excited! For now, our newest single off the album, titled “On The Land” is available as a FREE DOWNLOAD until the album release date. Check it out! And here’s a 8-bit version of On The Land, using a drum machine and a vintage 1980s keyboard purchased at a Cambridge Bay garage sale. See you guys on September 8!